When I was a child, I remember my parents sailing out of the Royal Newfoundland Yacht Club in St. John’s for weekend trips along the coast. My Uncle bought a yacht in the 80s so the crew of them had an adventurous hobby for a while. My Mother, before she met my Father, once sailed across the Atlantic Ocean (against my grandmother’s will no doubt) from Newfoundland to England. That takes guts. Guts I certainly don’t have. Now that I’m done bragging about my parents, I do have to say, as much as I knew how happy my parents were sailing years ago, I had no interest in sailing myself. Perhaps it was the fear of sea sickness (luckily it never happened), sea legs not holding me up, or worse: the boat over turning in inclement weather. Can you tell I’m a bit of a worry wart? With my Father’s well-loved sweater clung to my chest, I was much more comfortable on the dock, waving them off on their weekend excursions around the island, because you know what happens when the parents go away? I get a nice feed of McDonald’s. 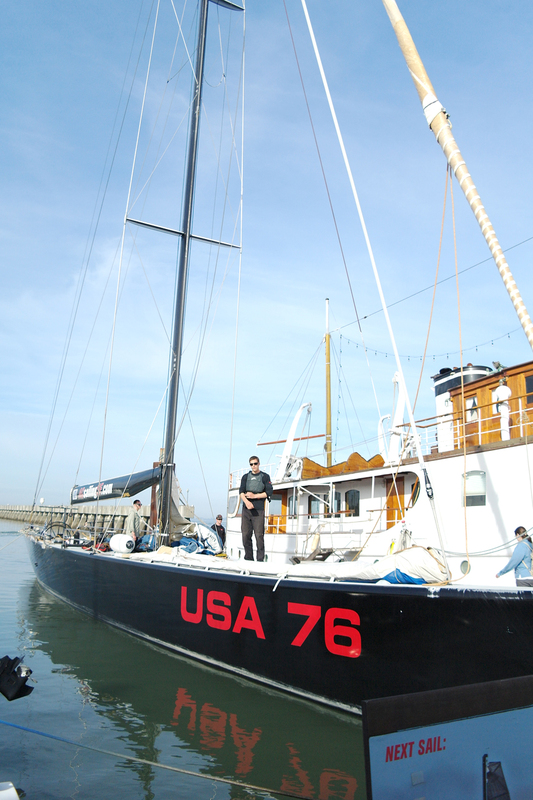 Fast forward twenty-odd years and I receive an e-mail from Captain Jon of AC Sailing SF, inviting my husband and I to join him and his crew for a cruise in San Francisco Bay on a former America’s Cup racing yacht named USA 76. Considering my husband has never been on a sail boat, and it’s been many years for me, without hesitation I said we’d be there. For those that don’t know, America’s Cup is the oldest international sporting trophy event, where teams compete in match races two yachts at a time. 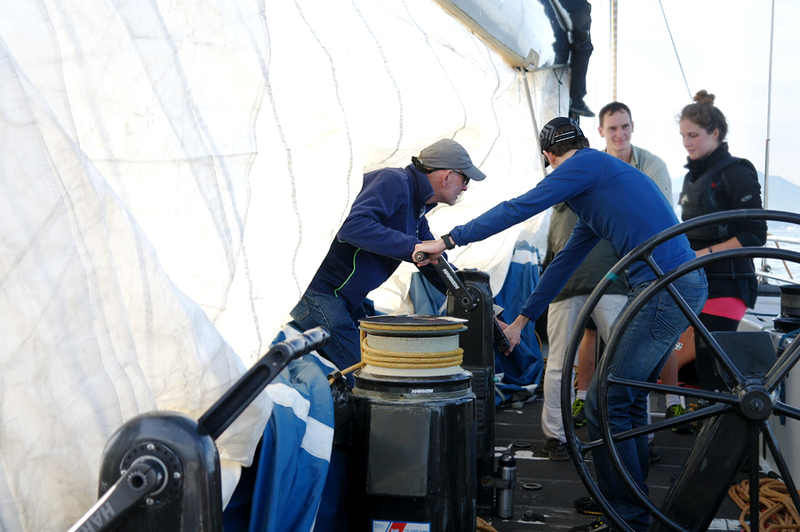 It attracts top sailors from all around the world to join in and watch. Fun fact: the USA 76 yacht we were on was used by Team Oracle BMW during preparations for the 2003 America’s Cup. 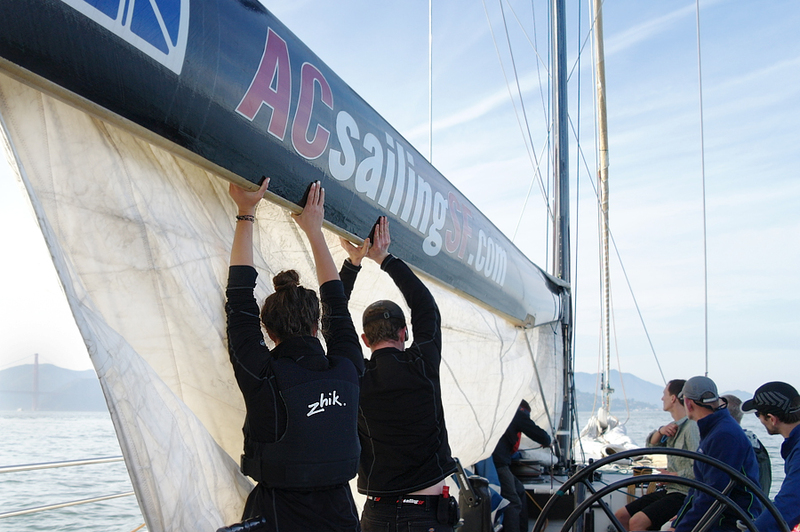 The team went on to make the Louis Vuitton challenge series final, winning 21 of 33 races, only losing to Team Alinghi from Switzerland. That team went on to win the Cup. Later that year, the team’s staged two rematches in San Francisco Bay. With more time to prepare and home water advantage, USA 76 won both. An impressive resume, no doubt. USA 76 is now retired from America’s Cup, but now holds the title of fastest charter yacht in the world. I called my parents immediately after we reserved our spot, knowing they’d be familiar with this yacht — and wishing they were here to experience it with us. Instead, they’d have to ogle my photos at the computer from far away. The Guy and I drove to San Francisco on Super Bowl Sunday (hey we’re Canadian, we’re hockey fans) to famous Pier 39 where USA 76 was docked. We hopped on with 6 crew and a couple of other guests and enjoyed the ride. The excursion was two and a half hours in length and it was explained to us that we’d help the crew out from time to time to hoist the sails and steer the boat. That brought back memories. 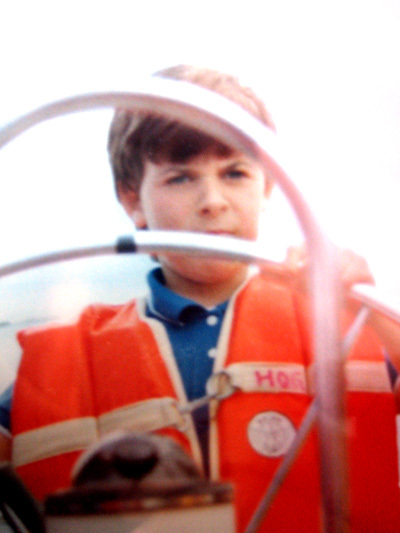 You got that right, the above photo is me as a little tom boy steering my Uncle’s yacht. Skipper Nancy. Look at the concentration on my face, so serious. Man, racing boats are nothing like my Uncle’s boat in the 80s. USA 76 is made completely of carbon fiber, so it’s extremely lightweight. Except for a few new comforts like the metal railing and a small engine for navigating away from the dock, this boat is exactly as it was raced and it shows. You are right in the middle of the action! The two and a half hours simply flew by. The weather was ideal and we couldn’t have asked for a better day on the water, with winds ranging from 5-8 knots, a nice breeze but not overly gusty. 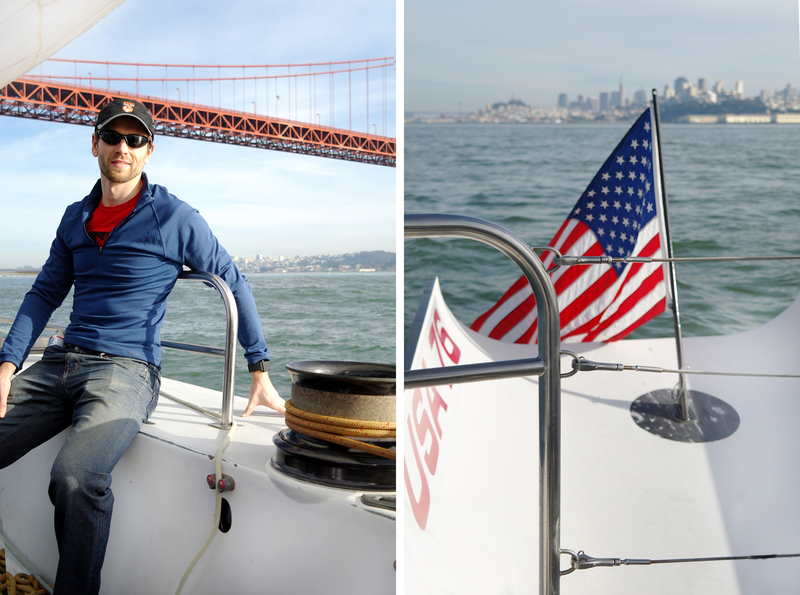 We did a loop out the bay, underneath the Golden Gate Bridge — breathtaking! — and then U-turned shortly after to head back to the dock. Joining the crew on the yacht was a day to remember. 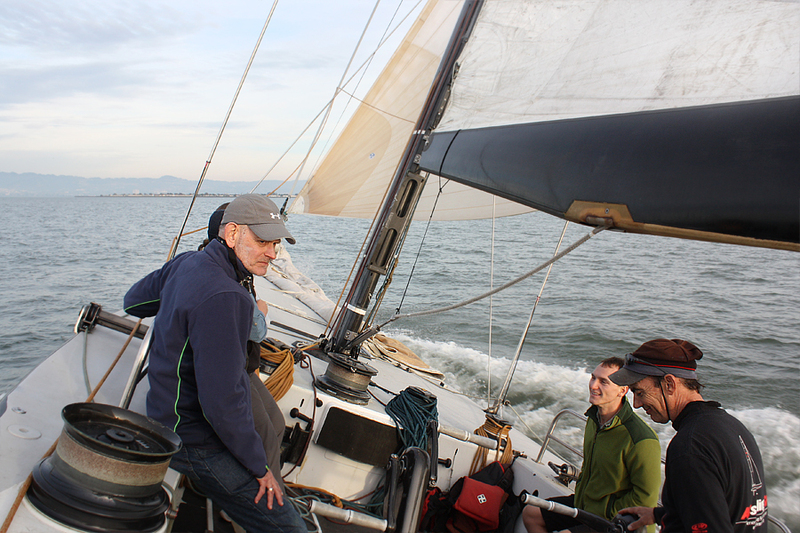 Seeing my husband look and feel relaxed, being out there felt like a once in a lifetime opportunity especially on such a famous yacht with veteran sailors. 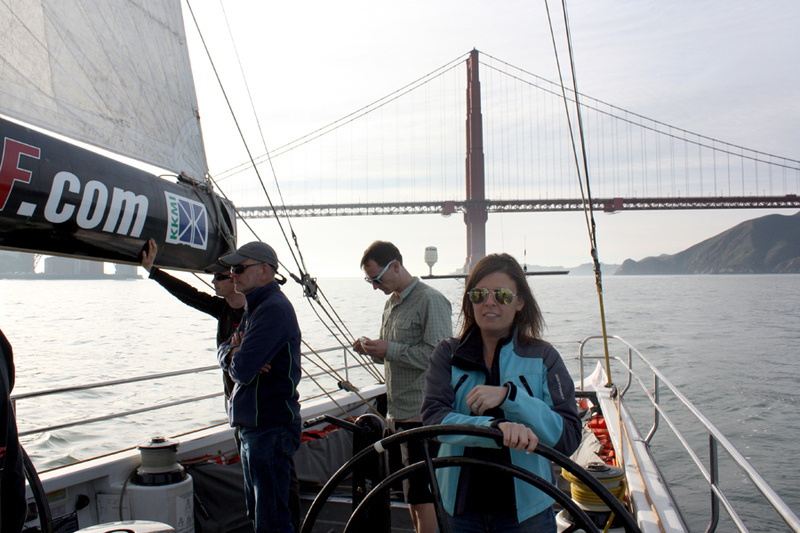 This was no champagne cruise on the Bay, this was a real sailing adventure! I want to thank Jon for reaching out and inviting us to join him and his crew on such a fun day. For anyone visiting or living in the San Francisco area, I would highly recommend this tour to anyone. And for those looking for a thrill seeking ride, you can purchase tickets to ride on their TOMCAT Catamaran for 90 minutes of extreme sailing. That would be awesome. Though, I do recommend you venture out during the California winters, as apparently a day on the bay during summer means you’ll be suited up for winter. I don’t get it really, either. Wow! What a sail Nancy! I have not been on a boat in years and like you I used to be a young skipper. I so miss sailing with my grandfather. This post makes me long for the days when I lived in California. Gads, guess I really do need to get out again but Lake Ontario is no where near as beautiful as the west coast. @Hollie: Hey Hollie! 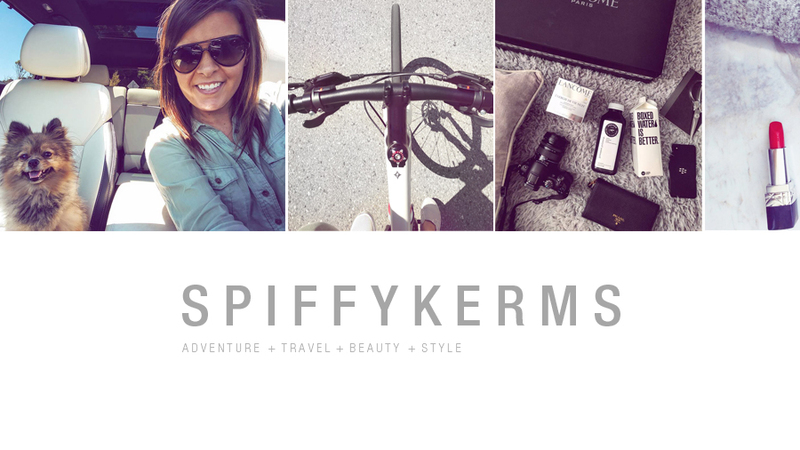 Good to see you on the blog here! 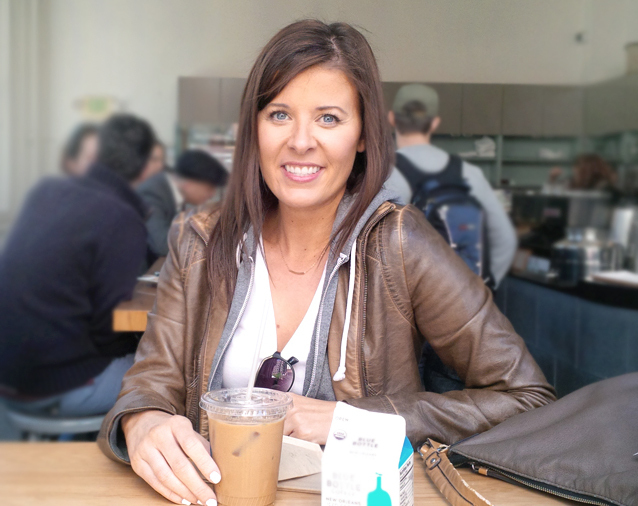 I met you at blogging conferences a couple of times when I lived in Ontario (just moved to California in 2014). I had no idea you used to live in California! That looks like an amazing experience. I would LOVE to experience San Fran on a tour like this. What an experience! Fantastic photos! You sound so happy as you’re talking about it. I can tell how much you appreciated that day’s adventure. Really neat! @Connie: Haha I had to scroll up to see what you were talking about. I’m not sure I agree with those pointy arches. But my husband was saying I still make that angry face lol. Wow. This looks amazing. What a cool experience that would be. I have always wanted to go to California and San Francisco is one of those places I really want to go! Jelly. Totally awesome! I have two really good friends who sail and own their own boats/yachts. But I never got the bug. I do enjoy riding on them though, and having everyone else do all the work! That is so cool.. i would love to do that someday.. i would really like to get to SF at some point as well. That looks like so much fun! I’ve never sailed before, but I’d love to give it a try. @Lesley: I think power boats scare me even more, with the bouncing around… I feel like I’d fly out of it haha. That is one of the things on my bucket list! I so want to go out on an actual sail boat. That would be so much fun. Not to mention relaxing! These pictures are stunning, and this experience looks like so much fun! I love to sail and go on boats but i rarely get the opportunity o do so. I will have to make more time for it! Thanks for the share! What a great experience! I once got a job for a yacht club working for the regatta races (which I knew NOTHING about) in the Mediterranean. It took me 3 years of working them to realize how important they are and how much of a priviledge it was to be on the sidelines! That was like reading something about a foreign country lol. I am not much of a boater, although I did grow up on the seacoast of New Hampshire and saw a lot of people enjoying the ocean. I have always wanted to see San Fransisco! Great pics and I totally got into the story. I love the water and I have never been on a sailboat of this type. I would defnitely enjoy something like this for sure. Beautiful photos! Oh my goodness what a way to see San Francisco. That is one of my favorite cities to visit but I have to say I have never would have thought by boating. Your photos turned out amazing looks like a great day!! What a fun experienced! You know 2013 was my last ride on boat not sail haha lol. But this time this is a bright idea for me ha, I really wanted to try sailing, I’m so jealous haha you had an fun experience. I have not gone sailing before! 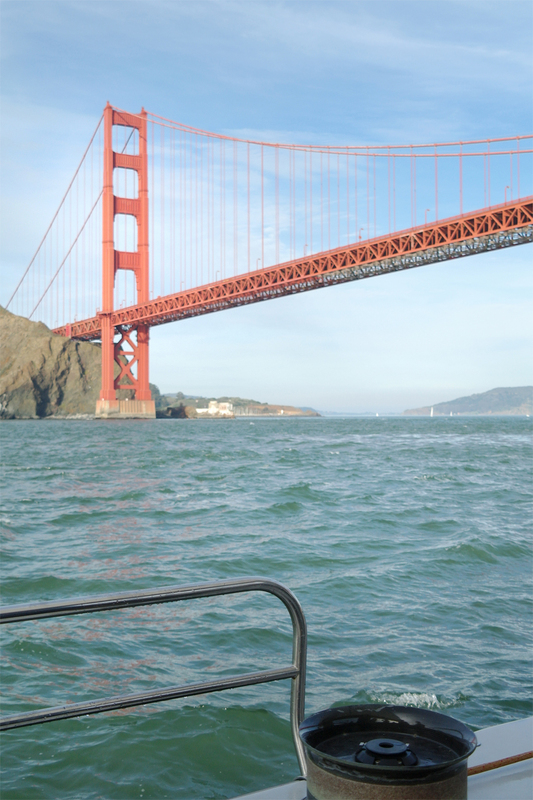 Your pictures turned out great and look like a great way to explore San Francisco. 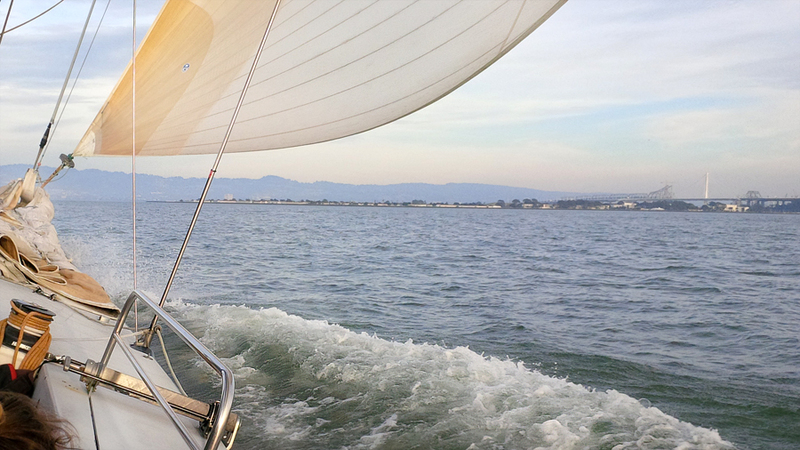 The experience you had sailing is definitely a fun experience. You had nice views and memories for this one. Oh my goodness – I so admire your mother and your family adventures! Now you’ve done just the extraordinary – so glad I had a chance to read your post! Donna Ward recently posted..Want To Build An Email List? 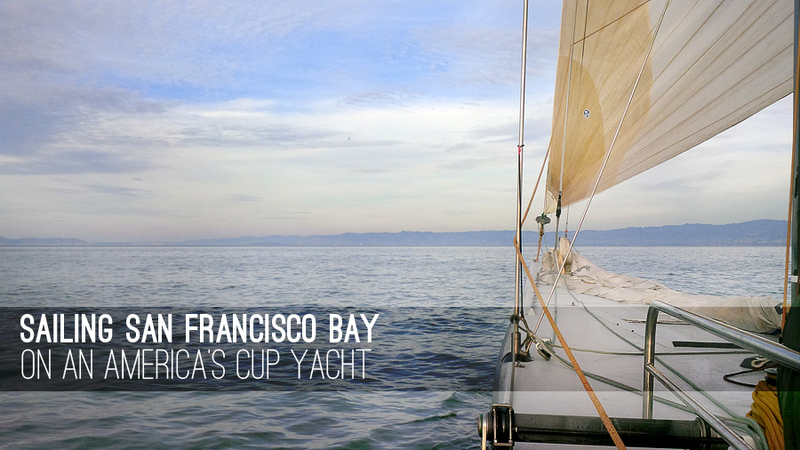 That had to be the thrill of a lifetime , on the America’s cup USA 76 . Your pictures brought back memories of our adventures on the sail boat named “Motely Crew”. I can’t wait to go to San Francisco. I live in the same state but have never been there. Ah, this looks amazing! I love love LOVE boating! I just love being out on the water… funny since I can’t swim! lol! Gorgeous photos of the bay! I have never been sailing, but I really hope to go some day. I would also love to make it to San Francisco! Perhaps I’ll kill two birds with one stone! Echo recently posted..A Day In The Life of a Very Scheduled SAHM! Having the experience of being with the crew that day must be really fun and enriching experience. It seemed like a really cool sailing adventure. However, what will happen when weather is not cooperating and it rains hard? @rochkirstin: I think they go for it anyway! Or you can check the forecast ahead of time and cancel within so many days in advance if you’re worried about it. Though, I’m not sure it rains often around these parts to be honest. @Nancy: I see. This event must be really fun to watch and join in. How fast does the yacht go? I’m sure that’s a great experience! I always wanted to sail on a yacht too! While I have my days when I experience fear of the sea ( prolly because my country is situated in a location that is almost always being hit by a typhoon ), it is this one place that I always feel at peace. I’ve been on a lot of boat rides, but have not really experienced sailing per se and it’s something that I would like to try in the nearer future. 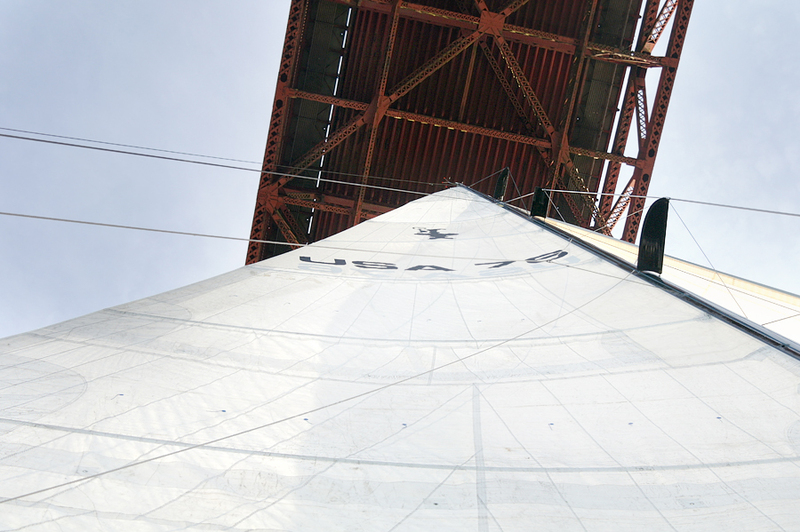 I never get tired of looking at the Golden Gate bridge.. have been under this several times on ferries.. America’s Yatch cup sounds like great fun! I’ve never been on a sailboat, but I want to go so badly! 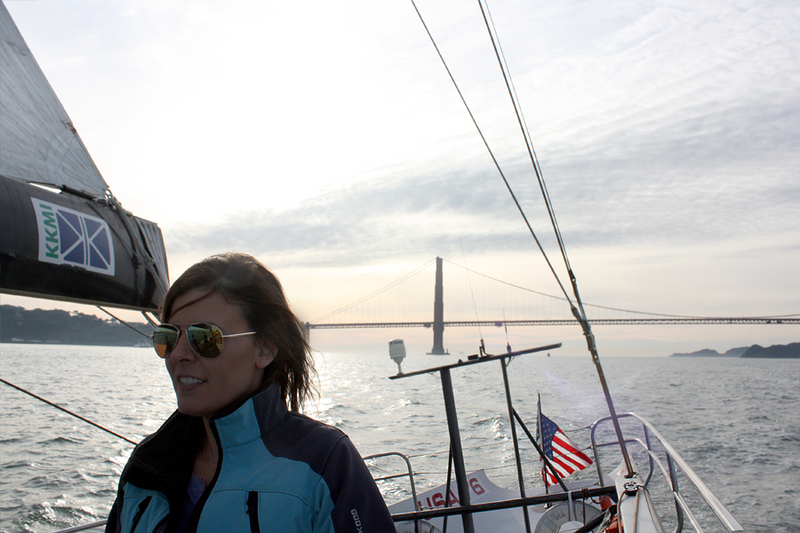 These pictures of you sailing around the bay really make me miss the ocean and everything associated with it! Thank you so much for the fun post, I enjoyed reading it! This adventure looks amazing…great job on conquering your fears! 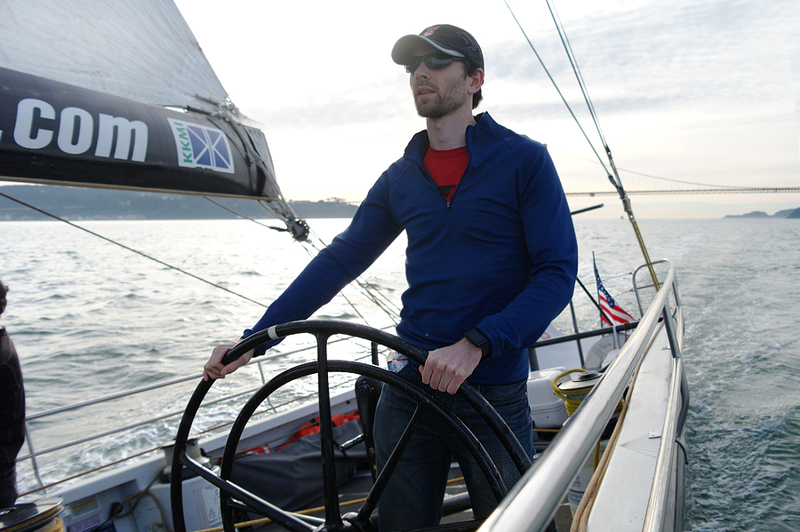 The last time I went sailing our boat actually (okay…almost) did turn over…I swear it was parallel to the water! It looks like you lucked out with some stunning weather unlike the rainstorm we just had. Nothing beats those bridge views on a bright blue day! P.s. My post on the soiree is now up on my blog! This looks AMAZING! What a fun day and a really special thing to do to enjoy our pretty city in a whole new way! These photos are amazing. I have always wanted to try sailing. I will have to put it on my bucket list. This looks so beautiful, I would love to go sailing; it has been way too long! That is exciting! And your photos are really gorgeous. We’ve never been to San Francisco but it is on my list of places to visit someday. Here’s hoping. Wow, that’s awesome! I echo the sentiment of the younger version of you – I think I’d be overcome with motion sickness – but I’ve always been impressed by watching the American Cup yachts fly by. I live in SoMA, so I’ll definitely have to recommend it as an activity for my thrill-seeing friends and out-of-town visitors. :) And you had such gorgeous weather!!! (I’ve been loving it; totally unseasonable, and perfect for an excursion on the bay.) Great photos! Wow! What a fun experience! 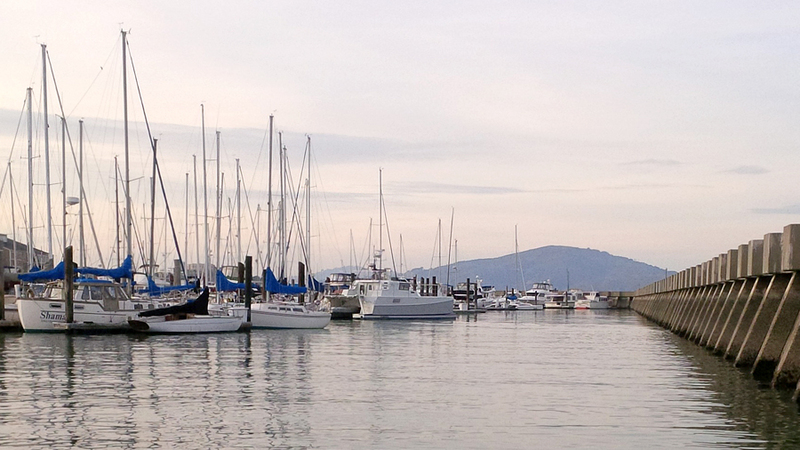 I’ve never been sailing and would love my first time to be on the beautiful Bay! Oh man, that looks like so much fun! And you got some great photos! That really is the coolest thing ever. I love water and I love boats. If I could live in a house boat the rest of my life it would be a dream come true. I also love tiny living. I haven’t watched the cup in a while, but very familiar with it. What an event for you! San Fran looks like an amazing place to be able to visit. Those yachts looks fun as well, I wan’t to do it, but I have a crazy fear about water. Not sure my anxiety would let me get far. lol But I’ll keep this tour in mind if I ever go out to Cali. That is really an amazing adventure. I would love to see it up close but I cannot say I would get on it. I’m afraid of sailing. That is a beautiful boating day right there! I love the scenery of having the Golden Gate Bridge in the background. I think it really brings out the glory and beauty of San Francisco. Thanks for sharing this, reminds me of how much I love the ocean and boating myself! Amazingly beautiful pictures! Looks like an amazing time. I have such crazy respect for anyone who sails. It takes so much passion, skill and it must be so rewarding. Your photos are breathtaking. I have a huge fear of being on any type of boat but one day I hope to get over it and enjoy a day out on a slow moving yacht. I can only imagine how that feels. Love your throw back pic. How cool to have sailed across the Atlantic Ocean – that must have been quite the adventure! Sailing on the open water like that looks like so much fun. We’ve been on a tour boat before, and took a motorboat on our own, but we haven’t gone on something larger. I would love to take a boat out with friends and family. Ohhh yes, the no-life-jacket rebels :P I was wondering when I would finally get the chance to read this post after commenting on Facebook! lol Well, here I am! Have to admit, I wouldn’t have worn one either hehe. You can see land from every direction so it does wonders for a confidence level. What a fantastic day out on the water! The sights are breathtaking and, I agree, being able to see a hubby really enjoying himself with the guys is always a nice one to add to the mix. Great pictures! Jeez, that bridge one is FANTASTIC. 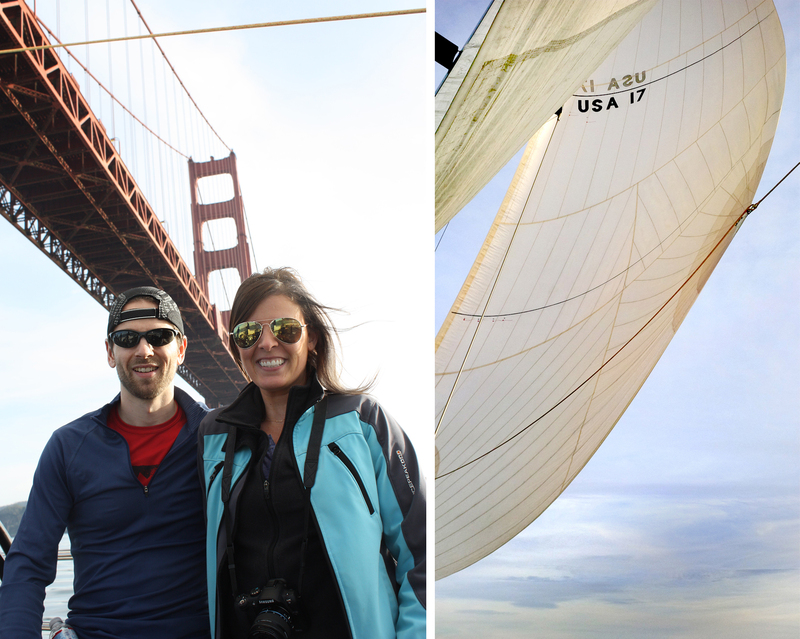 Wonderful pictures and what a great experience to be sailing so close to the Golden Gate Bridge! I’ve only been so San Francisco once and I never got to make it out there ( sigh, I know, right?!) but this looks like a load of fun. Thanks for sharing! I’m totally living vicariously through you right now! It looks like you had a lot of fun! I would definitely try sailing, sounds amazing! WOW, First, your photos are beautiful and looks like you had such an amazing time! I always liked the idea of hoping on a boat and sailing. Just be out in the open water and see the beauty we are surrounded by. Then reality sets in and I remember I would probably get horribly sick! Haha. I love your photos so I think I will live through your photos vicariously. =P Thank you so much for sharing! 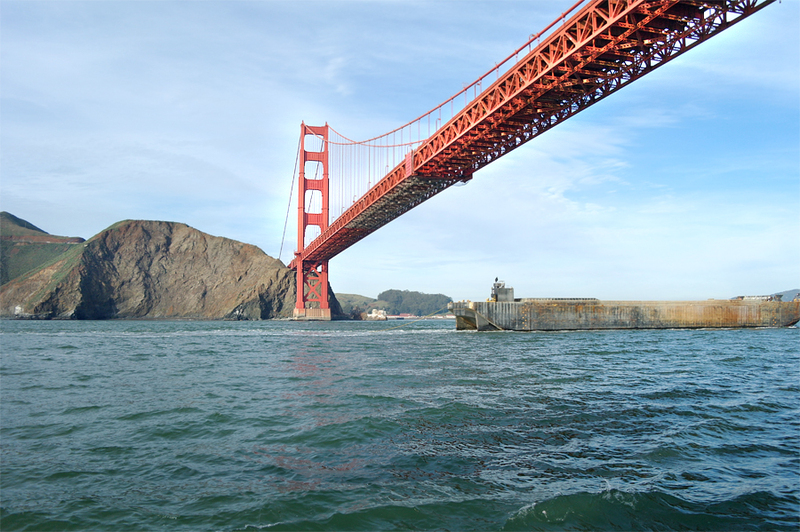 Hanging around the Golden Gate Bridge is one of my favorite vaca relaxing zones! The pics are gorgeous and the sailing looks like a dream come true! I just love looking at photographs of open water! You are so lucky, what an adventure! Wow what a fun time! It looks like you guys had a great bonding experience together! I loved seeing you all having fun! It looks so fun. Never really tried but I do want to experience it! 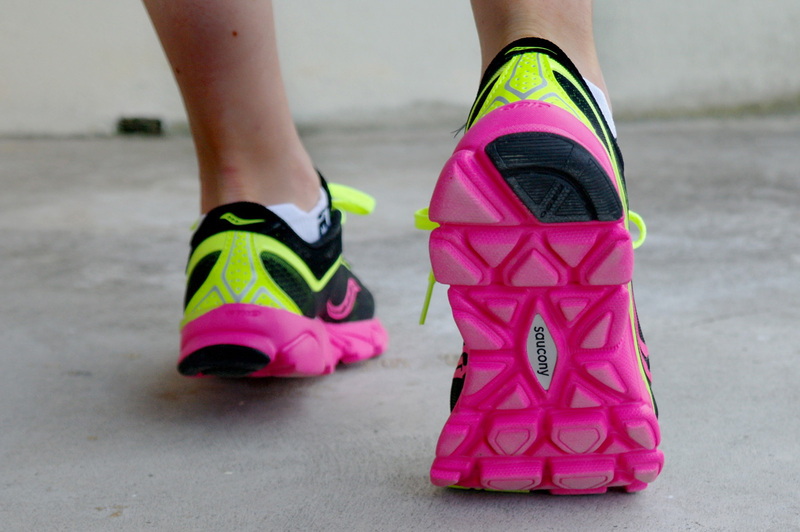 Aisha Kristine Chong recently posted..Learning and Getting #HowTo Tutorials all in ONE PLACE!